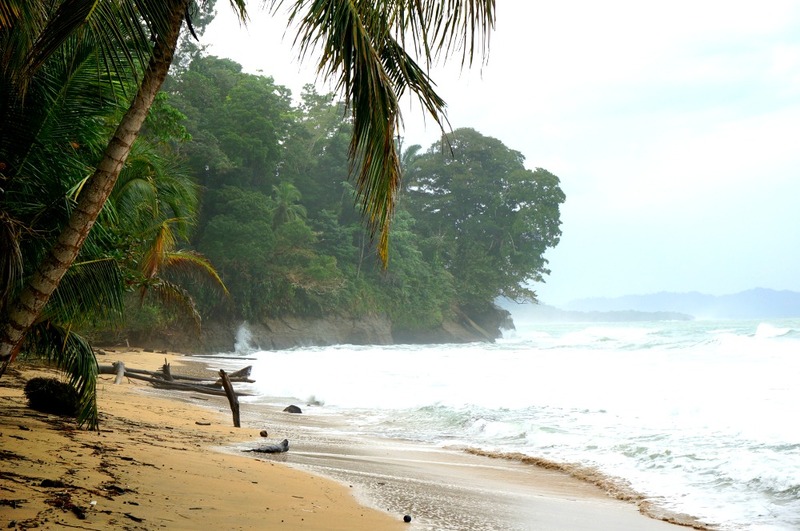 Puerto Viejo - What's Not To Love? You Decide. 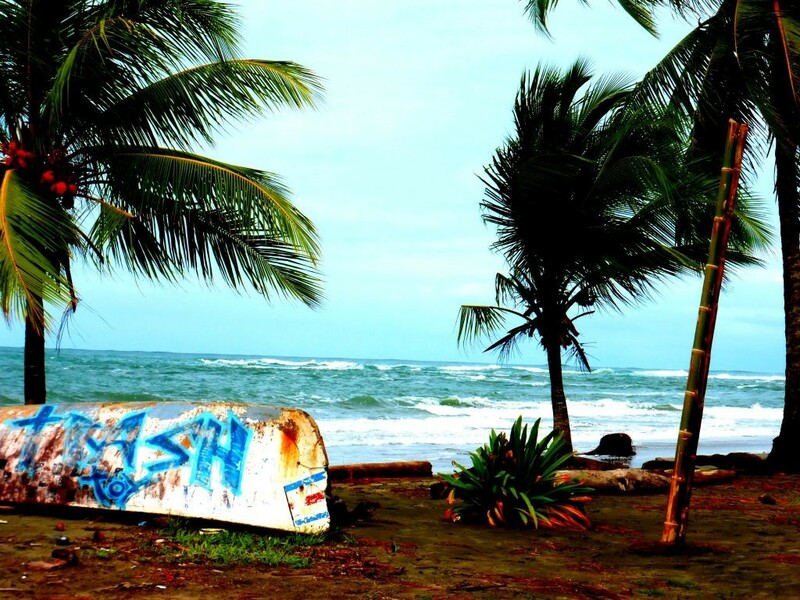 Puerto Viejo – What’s Not To Love? You Decide. 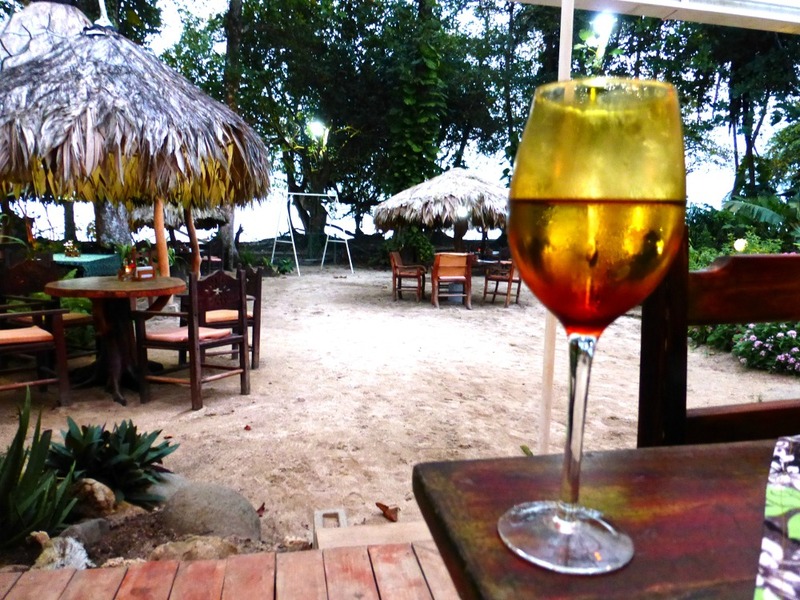 Puerto Viejo, Costa Rica – what’s not to love? In previous posts we wooed you with our pictures of the white sandy beaches and warmed you with our story about the valiant efforts of the Jaguar Rescue Center. We showed you pictures of all of the amazing animals that we spotted and tempted you with stories of amazing food with a sea view. But would it surprise you if that wasn’t the whole story? When we decided to travel to the Caribbean Coast of Costa Rica we thought it would be the cleanest place we had ever visited. This partially based on the government’s hope to earn the title as the first Country to achieve carbon neutrality by 2021. And fantastic advertising by the tourist industry featuring an exhilarating eco-green-sustainable experience packed into every visit. So with all of this eco-friendliness imagine our surprise by all of the trash. 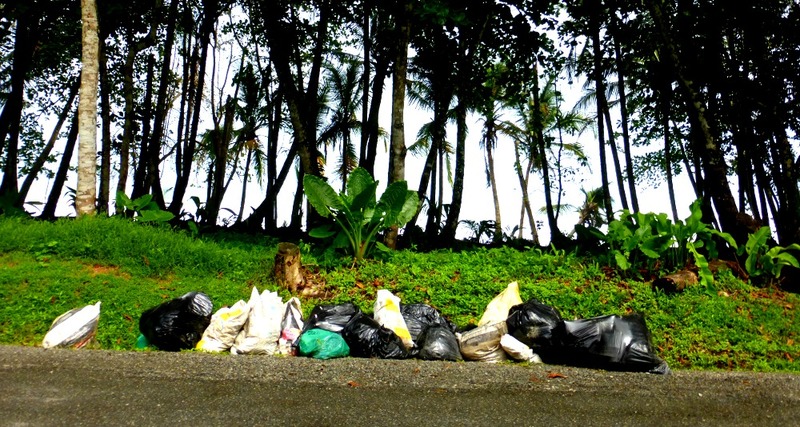 There are community trash pick up spots throughout Puerto Viejo, but they leave a lot to be desired. We even heard that efforts by one neighborhood to add a secure trash bin at the end of the road was met by a match and a can of gasoline (“not in my neighborhood!”). We’re not new to the concept that government policy does not change the attitude or behavior of people on the street. So unless you staying in a resort that pays someone to comb and clean the beach, expect to see some refuse. One of the things that has been wonderful about traveling through some destinations in South America is that your money goes a lot further. Not here, friend. The flurry of North Americans traveling here and moving in has jacked up the prices, for everyone. If you come here, expect good food that is perfectly safe to eat, but you’ll pay. And so do the locals — groceries at the supermarket obviously cost the same for everyone. 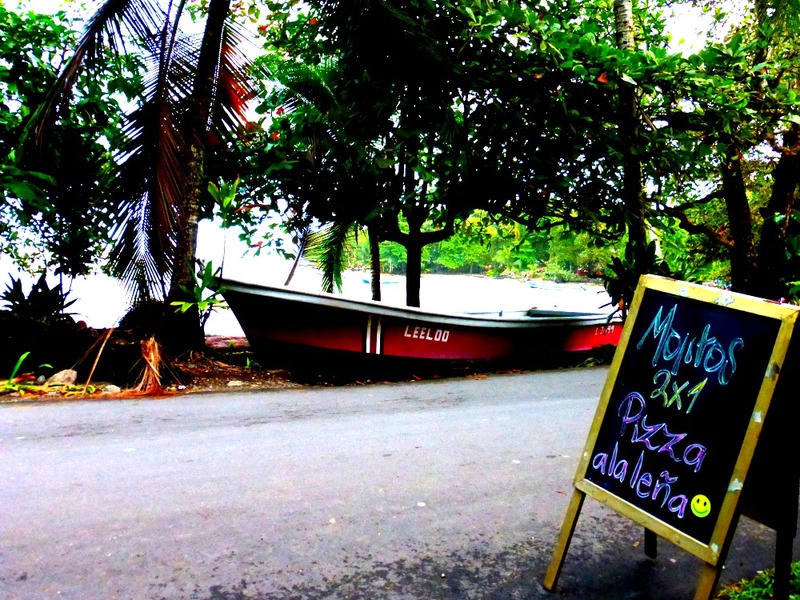 And when the average Tico in Puerto Viejo is pulling down $2 per hour, expect a little bitterness. Happy, well-off tourists rubbing shoulders with economically challenged locals, mixed with a side of elicit drugs, can sometimes lead to a ragged path. The hosts in the home where we stayed cautioned us to keep the house locked at all times, even if we were in the yard. And while they said that they had never been robbed themselves and we didn’t have any negative experiences while we were there, we did meet others who were not so lucky. We ran into a well traveled middle aged mother and her daughter who were on a rafting trip with us the previous day. They reported being robbed at knife point while walking along the beach at 6:30 at night. Apparently having a dense jungle for cover, a crashing surf to drown out the sound, and an isolated area known for tourists can add up to a bad experience. None of this made us decide to pack up and leave, but we certainly took a cab home at night and were a little more paranoid as we walked around than normal. 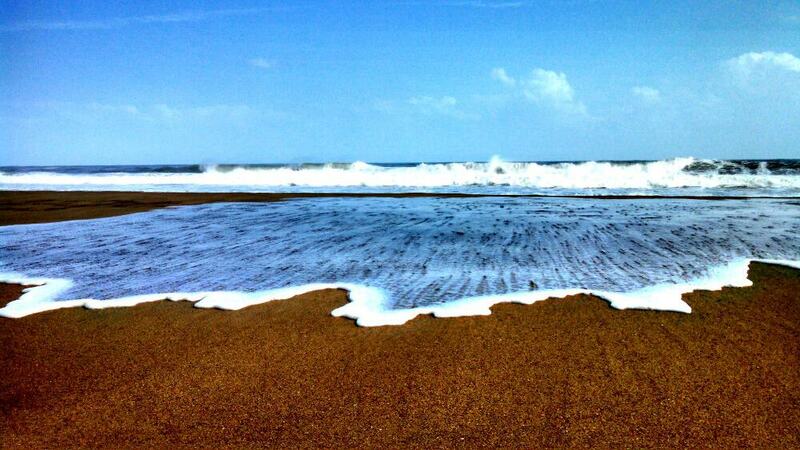 Maybe Being On A Secluded Beach Where The Sea Meets The Sand Isn’t Always A Good Thing. And while we’re dishing on things, why not pick on the sloth? We searched for these cute guys every time we left the house. We started calling them “tree turkeys” because you’d spot them by finding a ball of dark fur up in the tree. Just lying there. Being a sloth. But closer inspection of the sloth reveals a light green slime on their furry being – basically a moss they grow themselves to snack on since they tend to stay relatively immobile in the same mossy jungly environment for long periods of time. And in that green fur the gentle sloth is host to all kinds of critters such as cockroaches. The smell, when you are close, is not good. So there you have it. 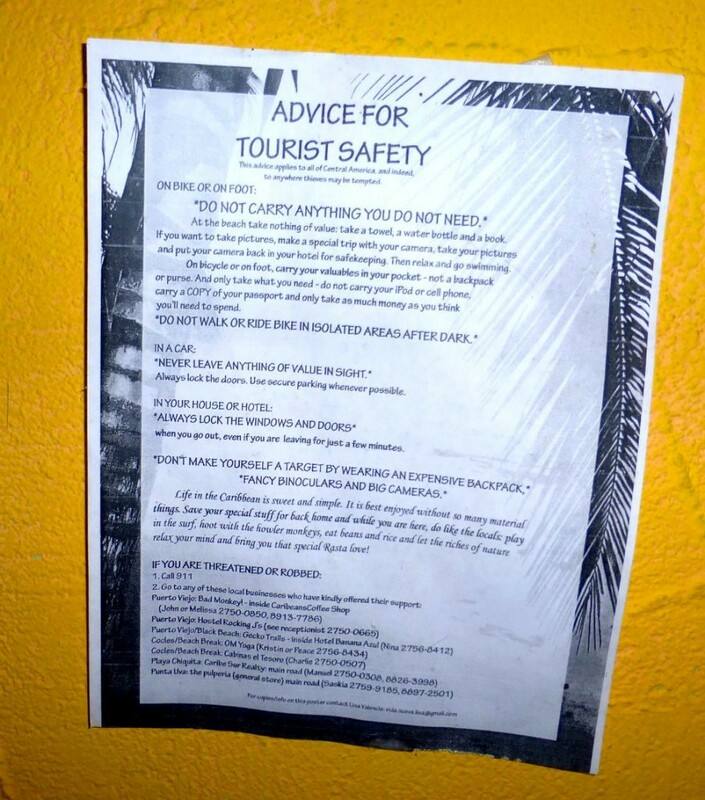 Does any of this take away from our experience in Puerto Viejo? Well, of course it did. But all of the positives about the place are also true. It is beautiful. The sand and beaches that connect to a jungle full of monkeys and exotic plants are also part of the true story. And with all of that said, would we recommend a visit? Absolutely – we’ll see you there. Wow! I can’t believe people would litter and destroy those killer views! I know, it’s pretty sad. It’s so interesting that the pretty progressive government policy of conservation can be so far from the reality on the street (and the side of the road). Great article. I love to hear the good and the bad. It lets me make an informed disision on where I want to travel to. Always good to read both sides of the story! A real pity that people can’t see the beauty of a place they live in and destroy it with garbage… The fact that a trashcan was met with a can of gasoline is … wow… scary I guess…. Thanks for your comment! Learning to manage our expectation has been a very valuable lesson as we’ve traveled full-time over the last year. So often you only read about the very best of a destination and that is very rarely the whole story. I felt the same way about the trash in Belize too, its really a shame. That’s really unfortunate about the trash!! I’d be glad to see a sloth up close though like that, despite their smell! 🙂 🙂 Thanks for the honesty in this post! Puerto Viejo and the sloth are both worthy of a close up visit! No place is perfect and I think it’s important to make sure that we give a balanced rather than idealized of the places we write about. Thanks for taking the time to comment. Interesting and not surprising. Enjoyed reading your commentary. What’s next? Great write up – sorry to hear that there was garbage around to ruin the beautiful views. Very jealous you got to see a sloth up close though! OMigosh! I really want to go. That sloth is the cutest! They can be tough to spot since they don’t move very much, but it is really fun to find the sloths! That’s awful about the rubbish! And who would have thought sloths stank? I literally had no idea, but it makes total sense! It’s always sad to see garbage laying around but unfortunately it is not that unusual around the world as locals have more pressing issues than keeping things tidy for tourists…survival. None-the-less it is still a sad thing. When I was in Jamaica a few years back it was the same with regards to robbery. I was cautioned from the moment I arrived that walking down the beach from evening on was not a good idea. I didn’t listen of course and was lucky nothing bad happened but heard a few days later about a stabbing that same evening. Oh wow! I knew that Puerto Viejo was expensive but I didn’t know it was getting that “dangerous”. I suppose you get that anywhere, though. I’m heading to Cahuita on Sunday but I want to spend a day at the Jaguar Rescue so I’ll probably stay in Puerto Viejo for a night or two. We really loved the Jaguar Rescue! I’m sure you’ll have a good time but just be aware at night. This is interesting – I was just in Puerto Viejo in October and never felt the slightest bit of danger, and I found the entire country to be infinitely cleaner than anywhere else in Central America, no comparison. Manzanillo and Cahuita were awesome. Of course in the ‘downtown’ city there will be more pollution, but you don’t go there for nice views. Rich tourists hanging out on a secluded beach after dark is a bad idea anywhere in the world. Common sense needs to be exercised in your home country along with anywhere you travel to. Its sad to see beautiful views spoil by trash left lying around or left behind, but many places suffer from this.Safety is always a concern when traveling overseas so is good to hear about from another experience. I’ve always been intrigued by the Sloth,Wonderful to be able to see them so close up, despite the smell, after all they are an jungle animal. 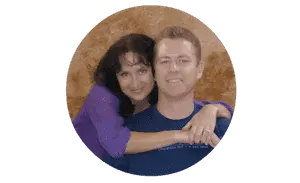 Good info in your post. I was also in Puerto viejo 2 years ago and didn’t feel in danger at all. I get your point though…I guess there is always a positive and negative sight to it, most places in South and Central America have that unfortunately! 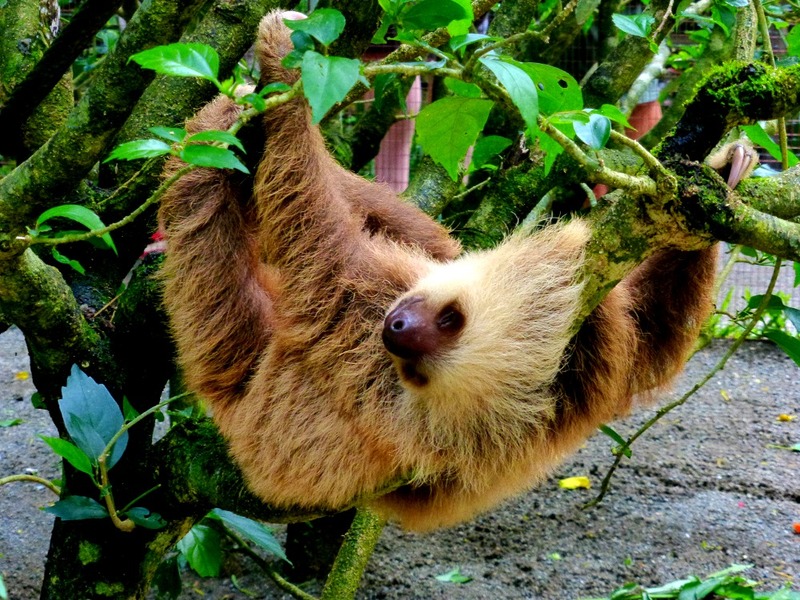 We went here a couple of years ago and visited the sloth sanctuary which was amazing! We took a gazillion pictures and this little town was a great place to chill for a few days as well.